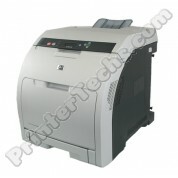 The HP Color LaserJet CP4005n series is a large, speedy color printer, perfect for small workgroups. Our refurbished CP4005n includes 256MB RAM, a built-in Ethernet port for connecting the printer to a network, a USB port for connecting directly to a PC, and a 500-sheet paper tray. This is a large printer; ships on a pallet via freight. 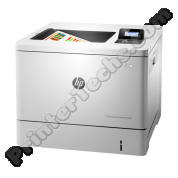 The HP Color LaserJet M551DN series is a speedy color printer, perfect for small workgroups. Our refurbished M551DN includes a 500-sheet paper, duplexing capability for double-sided printing, and a built-in Ethernet port for connecting the printer to a network. 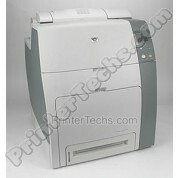 The HP Color LaserJet M551N series is a speedy color printer, perfect for small workgroups. Our refurbished M551N includes a 500-sheet paper and a built-in Ethernet port for connecting the printer to a network. 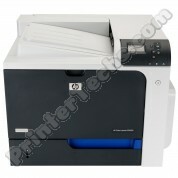 Out of stock -- consider the HP Color LaserJet M551dn as a good alternate. 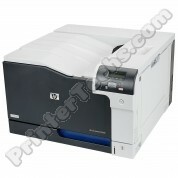 The HP Color LaserJet M553DN series is a speedy color printer, perfect for small workgroups. Our refurbished M553DN includes a 550-sheet paper, duplexing capability for double-sided printing, and a built-in Ethernet port for connecting the printer to a network. Toner not included.